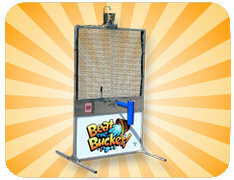 Water Fun Attraction Rentals | PartiesInc.com Vancouver WA. 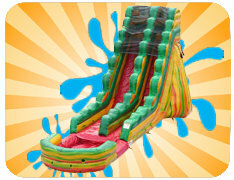 Turn a hot summer day into Wet & Wild fun with our water fun attractions. 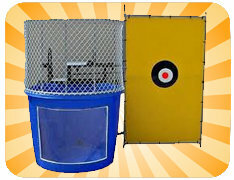 Choose the classic "Dunk Tank" that's great for fundraising groups and community events, or our "Beat The Bucket"and see who gets dumped on! 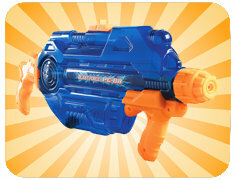 We also have super soaker water guns that are great for backyard party water wars. Browse the selections below and click on the image or "More Info" link for additional information and to make a reservation.